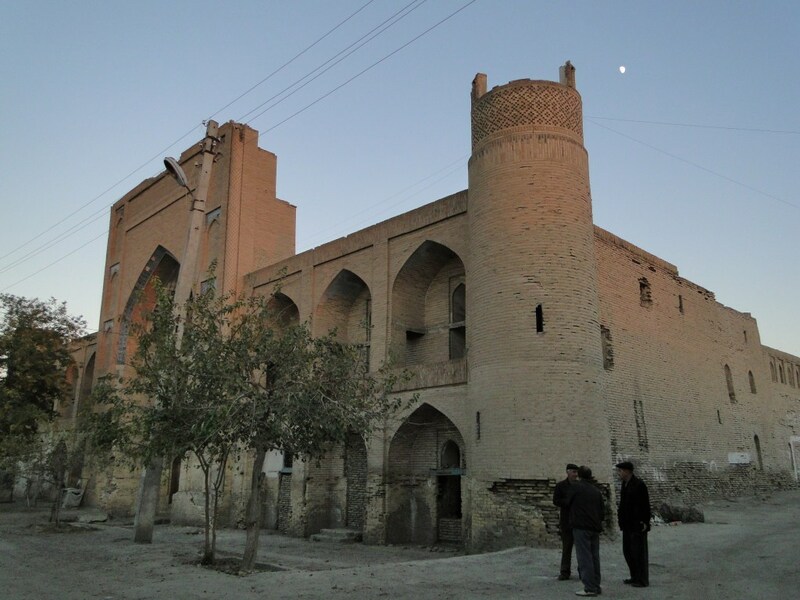 For nearly two thousand years, Bukhara’s vibrant civilization and well-established economy kept it as a center of culture and commerce on the fabled Silk Road. Genghis Khan conquered here, British explorers languished and died in its prisons, and even the Soviet Union fought before and eventually conquered Bukhara’s walls. 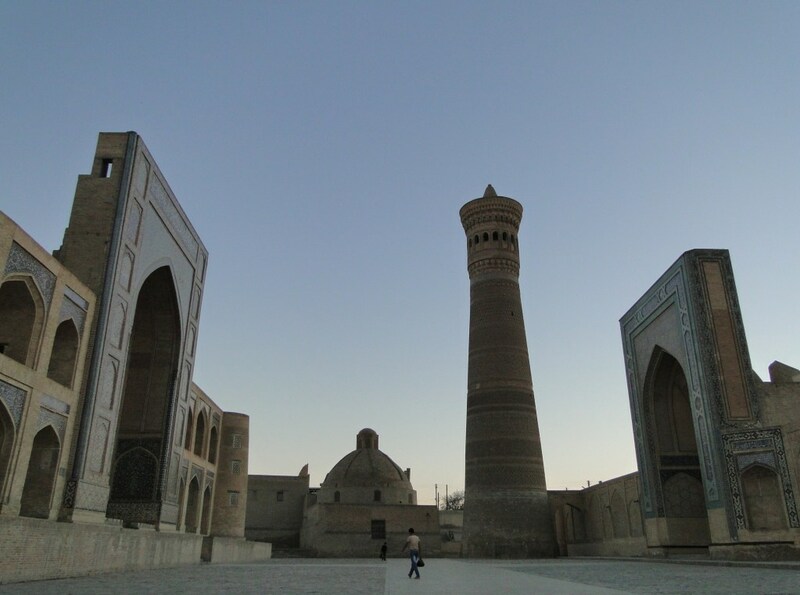 The Bukhara of today has paled in importance to the flourishing center of world civilization that once was; yet its history lives on in the monuments and monumental buildings that remain. 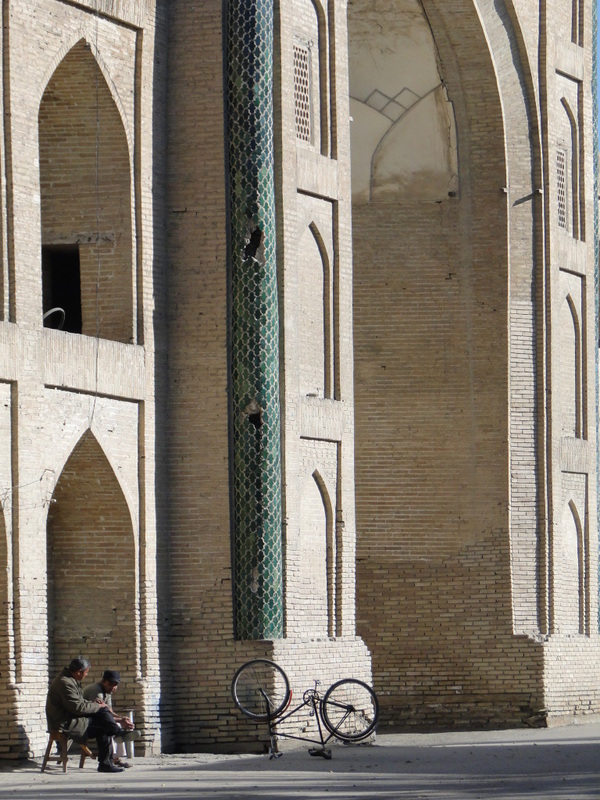 A wander of modern Bukhara can still reveal the beauty of Bukhara’s past blended with the vitality of the modern city. The Kalon Minaret still looms over surrounding mosques and madrassas, but at the foot of the tower each evening young families and old couples chat and walk as dusk falls over the city. These same schools and places of worship, many of which fell out of use during the Soviet era, have been restored and repurposed as community centers where artisans practice traditional crafts that have existed in the city for generations. 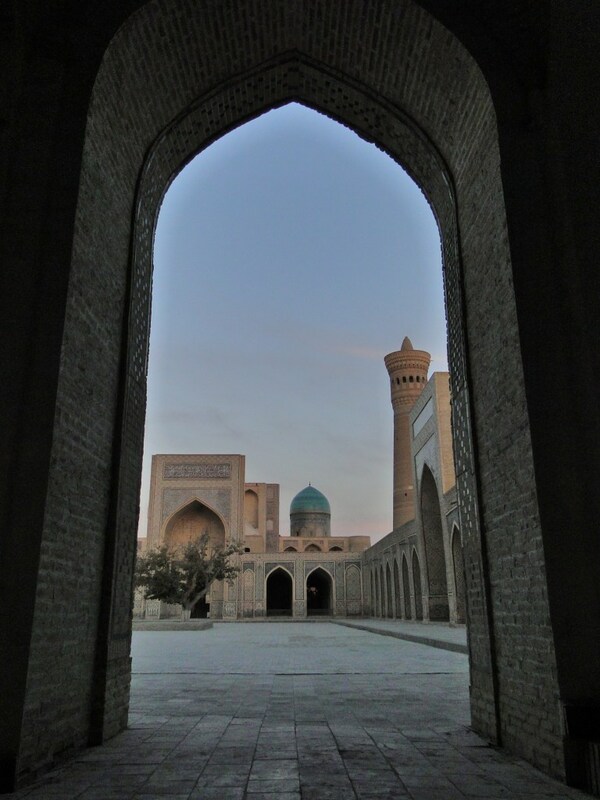 For me, though, the history and beauty of Bukhara is only a footnote. Instead, my experiences with the city revolve around the amazing people I’ve met there and the short glimpses into their lives this has offered. I remember, of course, sunrise over the Ark Palace and the reflections on the Lyabi-Hauz pool as teahouse tables fill on beautiful nights and the sound of traditional music fills the square. 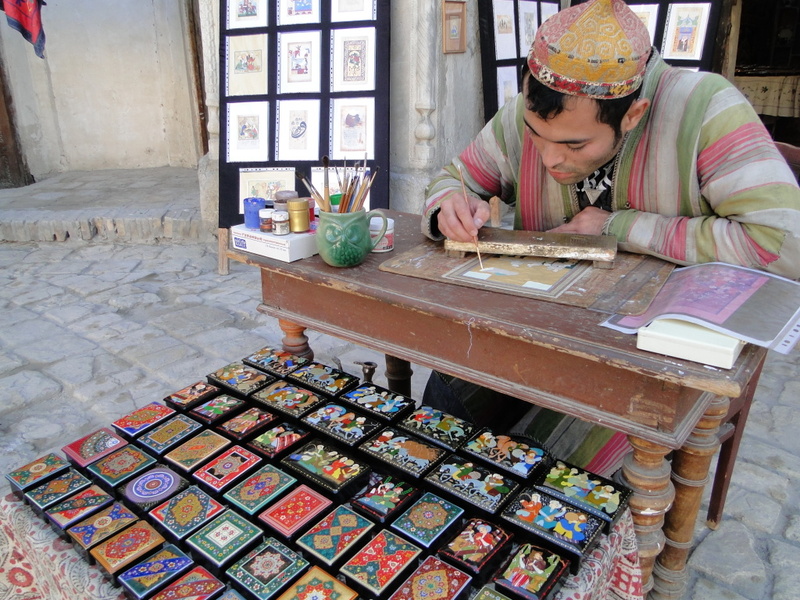 More than these things, though, I remember Bukhara as a city of impromptu invitations to weddings and parties; tea in the house of an ex-Soviet-solider who was conscripted as a teenager; market stalls where fruits and fabrics compete in bright colors to hold the eye’s attention. I’ve been to Uzbekistan several times, now, but each time I’m there I find myself drawn back to Bukhara. It isn’t ‘off-the-tourist-trail’ as far as places in Uzbekistan go, but with the combination of amazing people and a beautiful historic backdrop I find that I really don’t care. I’ll continue to wander these streets, with one eye on the cityscape and the other looking for the glass of tea that might be the start of another friendship. Evening falls over Bukhara’s Ark Palace. 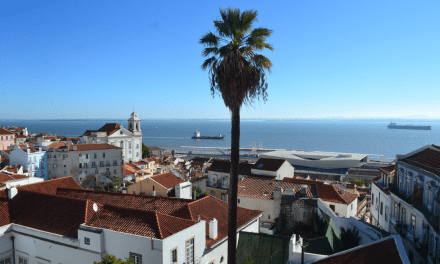 The Kalon minaret dominates the old city’s skyline. According to legend, Genghis Khan was so impressed by the structure that he ordered it spared as the rest of the city burned. 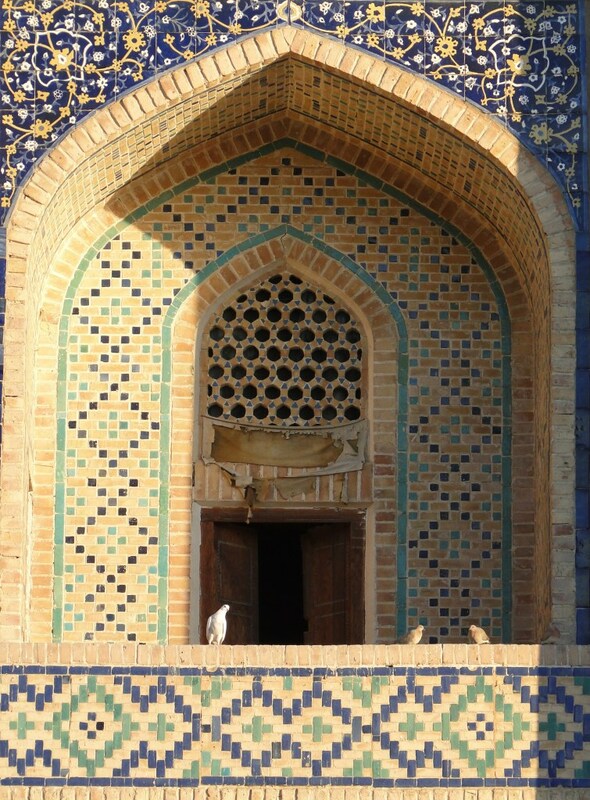 Most of the historic buildings of Bukhara feature the blue tile work so common in Timurid architecture throughout Central Asia. 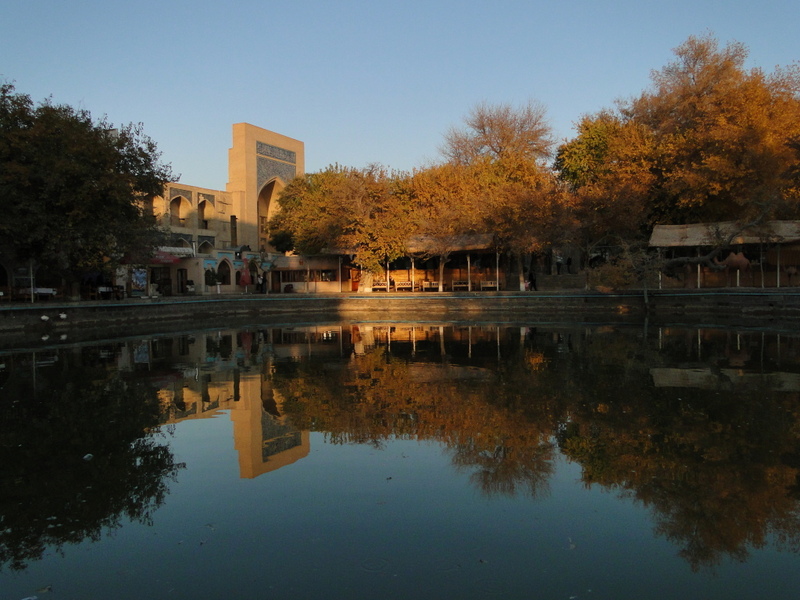 The Lyabi-Hauz pool, at the center of the tourist district in Bukhara, is a common gathering place at night. 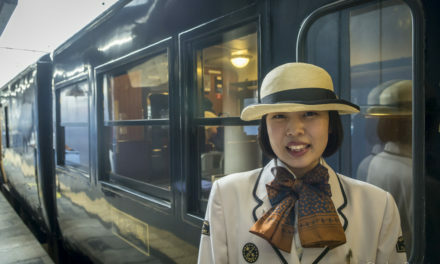 Like in much of Central Asia, many social interactions will be centered around tea. From corner shops in every neighborhood to fancy teahouses with expensive imported leaves, the ubiquitous drink is never far away in Bukhara. 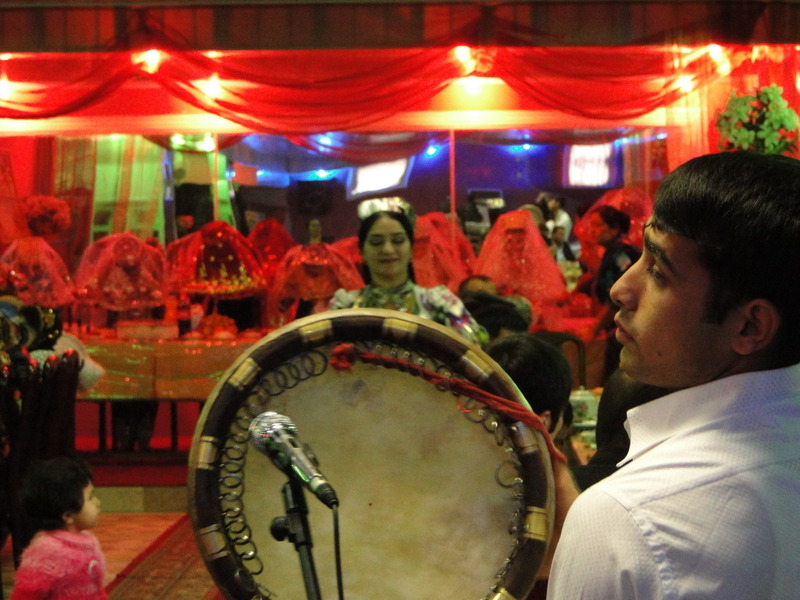 One of my favorite experiences in Bukhara: being invited to local weddings as a guest of the band. True to form, the invitation came as I was talking with the band leader over a cup of tea in a café just outside of the old town. Unlike many of the world’s great historic sites, life here seems to flow in harmony with the beauty of ages hence. 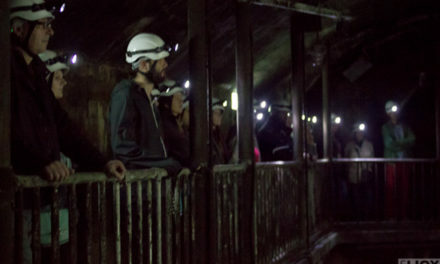 Many of the once-neglected medrassas, for instance, have been revived as workshops for local artists. 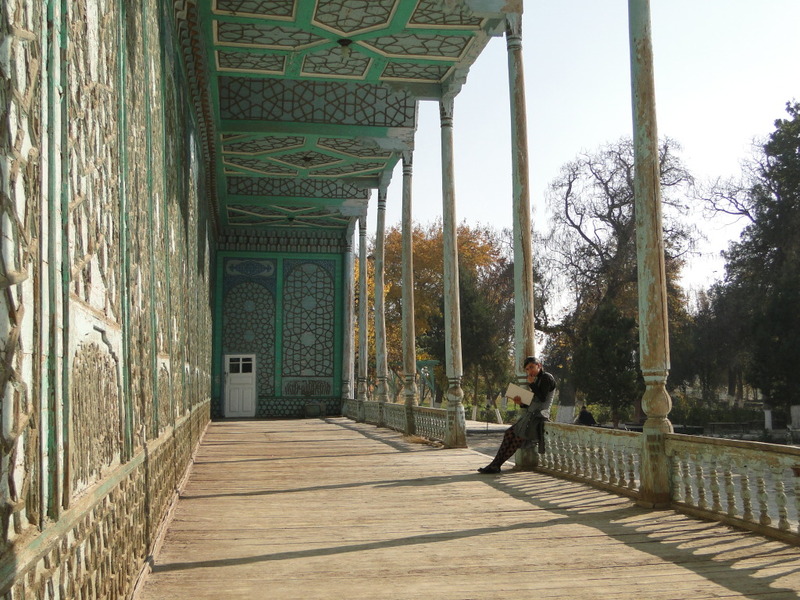 Or here, a local student reviews schoolwork on the porch of the former Emir’s Summer Palace just outside of town. Of course where live goes on so must death. 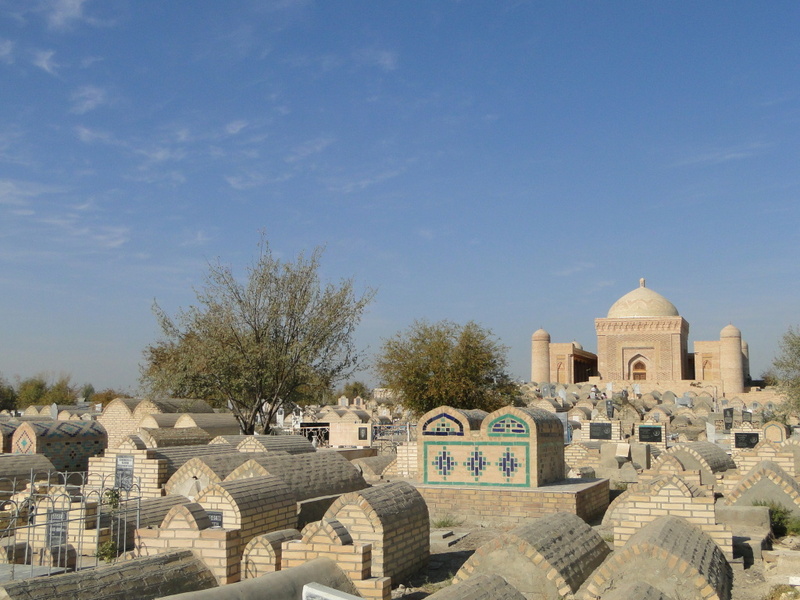 Several kilometers outside of Bukhara, the Bakhautdin Naqshband Mausoleum is an important Sufi shrine surrounded by a large cemetery. 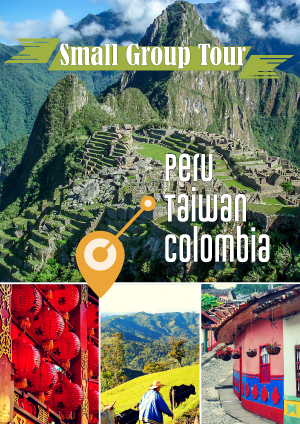 There are also the obvious tourist sites. A walk through the Ark replicates nicely the view once savored by the powerful Emirs that ruled Bukhara. 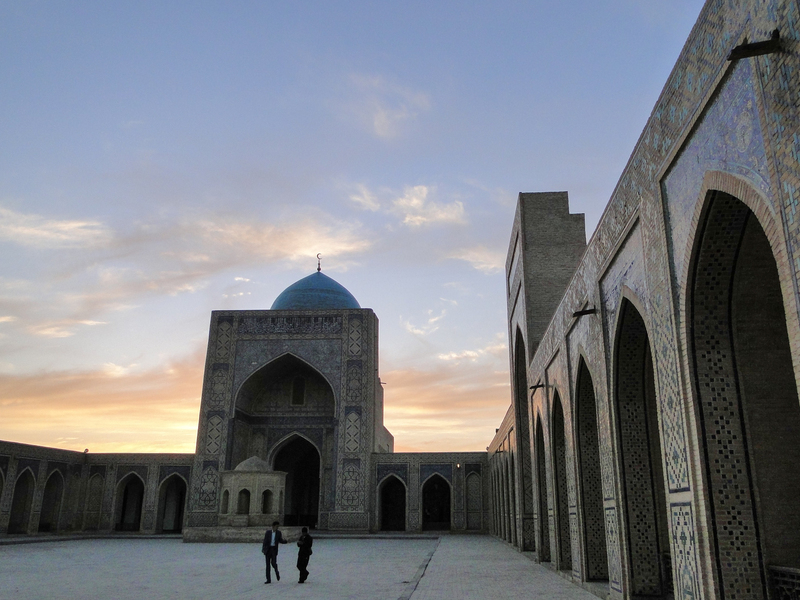 Having been rescued from its ignominious use as a storage area by Soviet authorities, the Kalon Mosque is once again one of the largest places of worship in Central Asia. It has also reassumed its position as one of the city’s architectural jewels, and its tiles literally shine in the evening light. 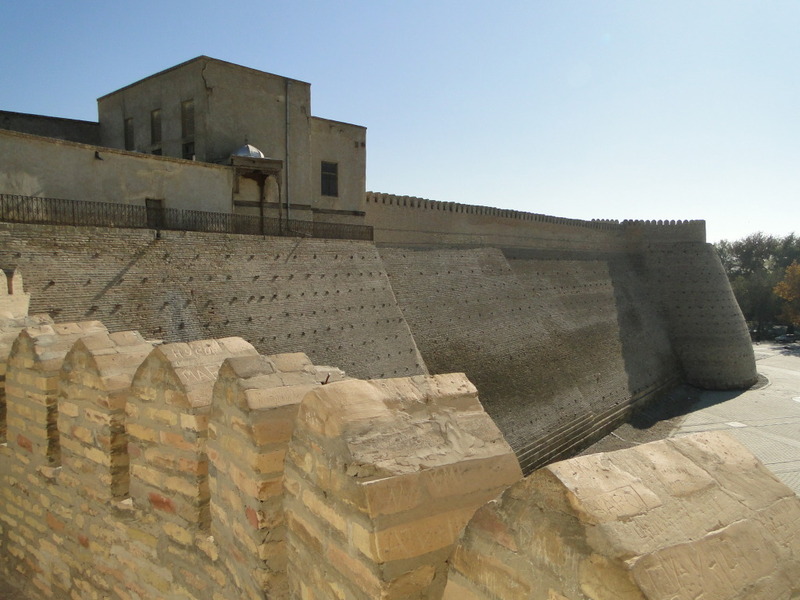 Bukhara seems like an ideal mix of past and present, rich history and an energetic modern community. 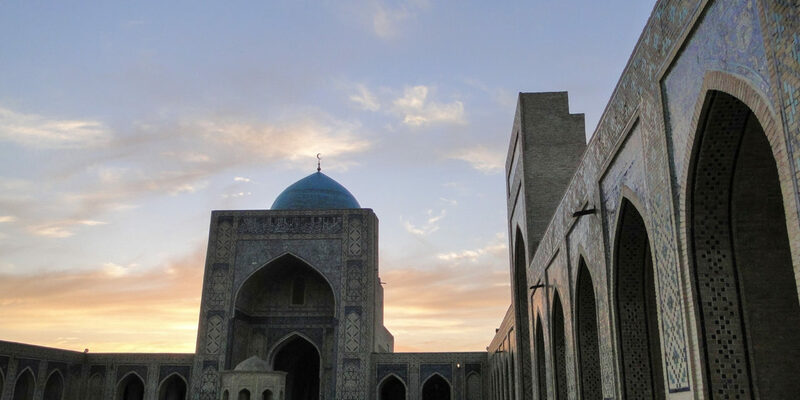 At least for me, Bukhara is also a place that leaves a very lasting impression. 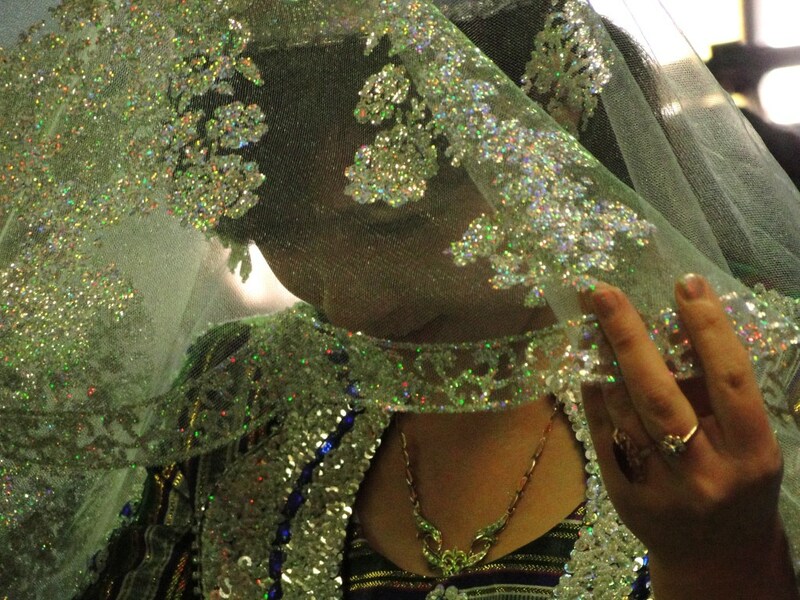 Editor’s Note: It was a pleasure publishing Stephen Lioy’s photo essay of Bukhara. I lived in Uzbekistan from 2002-2004 and I’m glad to read what stood out in Stephen’s memory, was the same for me. Despite the gorgeous old city, its monuments and buildings, interacting with the people of Bukhara, and of all Uzbekistan for that matter, are where the true memories lie. In the decade since, I have rarely come into contact with a more hospitable or uninhibited people than those of Uzbekistan. PreviousValentine’s Day in London : How Would You Spend It? 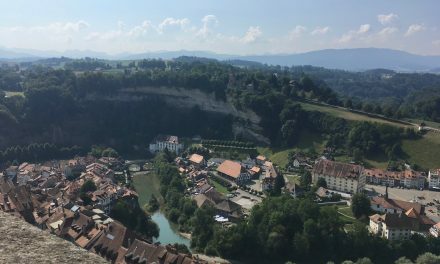 Absolutely great pictures of a magical place! Thanks, Steven. 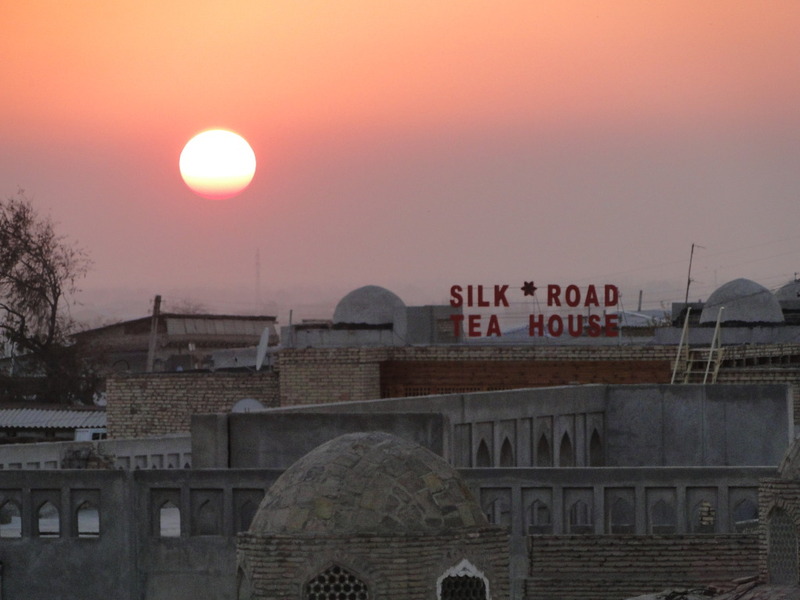 It still may be my favorite city, at least photographically, in all of Central Asia.